This project involved a pair of hybrid theatres incorporating operating theatre suites with ultra-modern imaging system including an imaging compatible surgical table, lights and surgical booms to accommodate a comprehensive portfolio of open, minimally invasive, and interventional procedures. By combining the conventional operating functionality of the theatre suite with state of the art imaging this facility allows Hospital to expand capacity and provide exceptional streamlined care delivery. 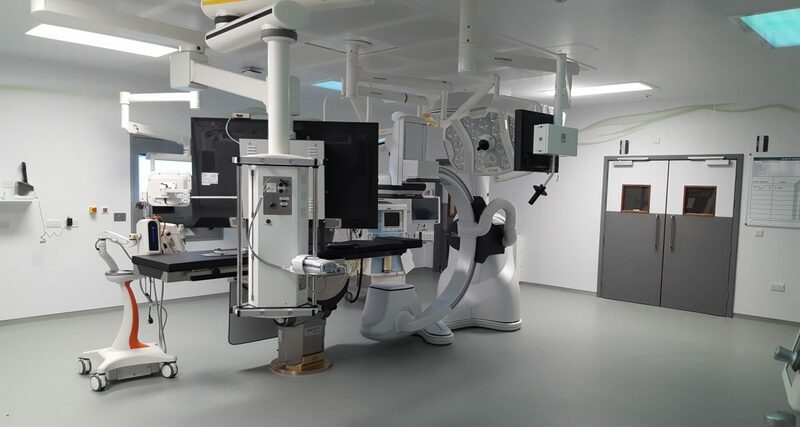 The two new suites will boost UHSM Vascular Surgery services, cementing the hospital’s position as one of the leading providers for cardiovascular care in the region. DSSR were responsible for full mechanical and electrical design on the project.